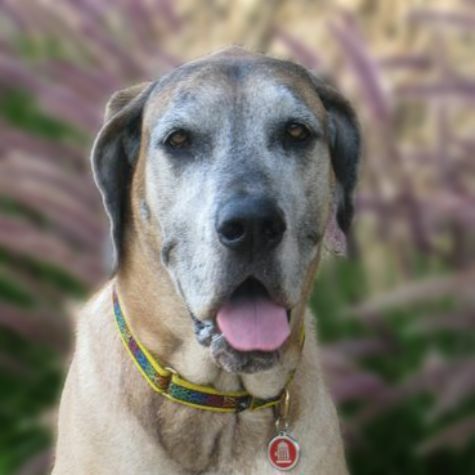 Razzie is a well bred Great Dane with the heart of a kitten. Her Mom was the California Champion; her Dad was the Japanese National Champion. She is very intelligent (for a Dane), and she has had extensive training. But because of the raspberry birthmarks on her back, she cannot be a show dog. Since we adopted her, she lives a pampered life in the Hollywood Hills. She loves hiking in Griffith Park; she greets everybody she meets and never minds the jokes about looking like a horse!